Fikri Jermadi was intrigued by this film a while ago, but only managed to watch it recently. Many moons ago, my lecturer asked me what I thought would be the best way forward in making films. “What if you landed in the United States and wanted to make a movie?” Of course, reflecting the greenery that is my naivety, I answered that a trip down to the local film school should be in order, betraying my tendency to maximise talent at a low cost, rather than affirming more established conventions. Of course, he did not take to that answer kindly, and revealed co-productions to be the answer. One year later, he backed this up with the release of ‘The Warrior’s Way’, featuring an international crew and cast members such as Kate Bosworth and Geoffrey Rush. It didn’t quite make back it’s $42 million price tag, but it proved a fine string in the bow for those involved in the film. I thought of that film as I watched this. 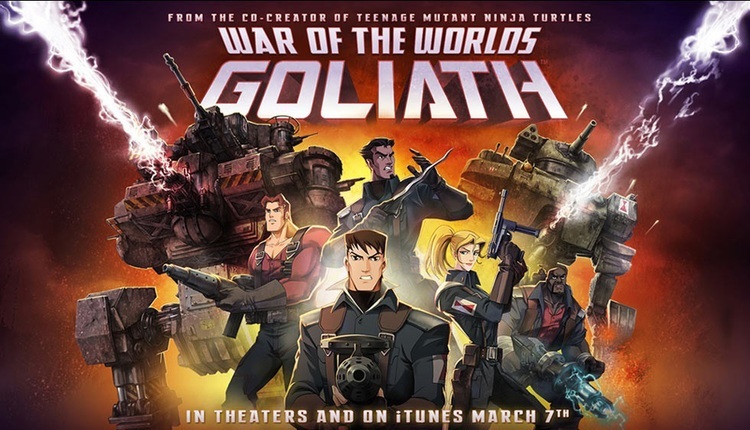 ‘War of the Worlds: Goliath’ begins with the story of Eric Wells (Peter Wingfield), a young lad who, in the late 19th century, witnessed the invasion of aliens from Mars. They actually killed his parents, but didn’t kill him due to being exposed to bacteria in Earth’s atmosphere (interestingly, this was the somewhat anti-climactic ending seen in the Tom Cruise-led War of the Worlds, as well as Wells’ original effort). 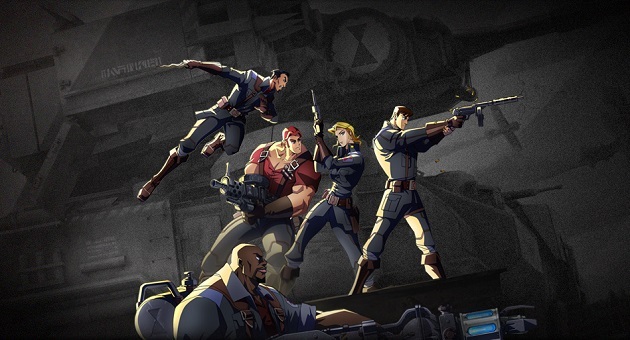 He survived to become a soldier, and in 1914, he became a part of ARES, a multinational effort to combat these aliens. 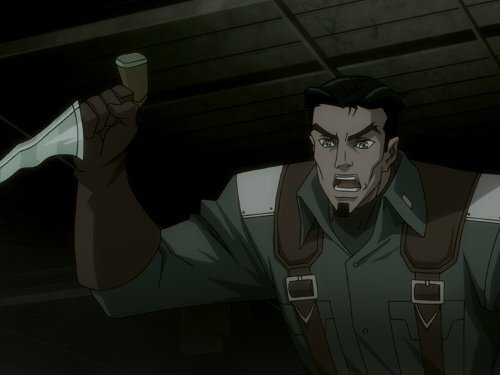 Broken off into smaller teams, he became the leader of his group, which consisted of Lieutenant Raja Iskandar Shah (Tony Eusoff), Lieutenant Jennifer Carter (Elizabeth Gracen), Corporal Patrick O’Brien (Adrian Paul) and Private Abraham Douglas (Beau Billingslea). 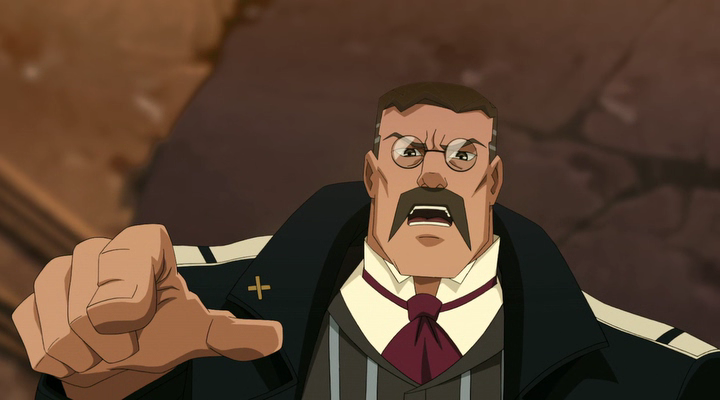 Commanded by Secretary of War Theodore Roosevelt (Jim Byrnes), Nikola Tesla (Joey D’Auria) and General Sergei Kushnirov (Rob Middleton), the team (one of many) has to deal with a number of internal and external factors to overcome an irrepressible enemy. My first exposure to the film came when some of the producers dropped by the Faculty of Film, Theatre and Animation, Universiti Teknologi MARA earlier last year. My faculty of the time had a tendency of organising such events on a fairly regular basis, and while it was actually a good session (especially for my students), I wasn’t best pleased, since I had actually slated another event to take place later in the afternoon in the same. Logistical considerations aside, I thought the last-minute event was also potentially taxing on the potential audience that is my students (two multihour discussion sessions in the same day is a big ask for anyone, I think). All the same, that should not colour this review of the film, for upon learning more of the film, I became intrigued by its inception, production and release. 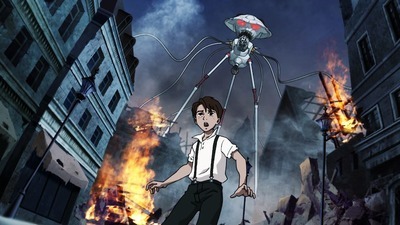 ‘War of the Worlds: Goliath’ appears to have little to do with the live action films related to the majority of the title. No real credit was given to H.G. Wells, which at least suggests this to be a completely original effort. Some reviews proposed this as a sequel of sorts. You would have noticed a number of very interesting names attached to the characters, such as Raja Iskandar Shah, Roosevelt and even Tesla. The presence of Malaysian influences in the film is not all that surprising, since the film received a large amount of support by way of money and others services from the National Film Development Corporation (FINAS). I am reminded of Jeffrey Archer’s advice in the book, ‘Writers on Writing’. The wisdom of the famed author is that the inclusion of famous people and events from the past will always have the effect of making anything seem just that bit more important. After all, writing is about grabbing and maintaining people’s attention. In this case, that same principle should not be disregarded in the filmic version of storytelling, and I suspect the names were selected partly for this reason too. This form of intertextuality is smartly done, with no explicit explanations given for every single thing. For example, news of the assassination of Franz Ferdinand is assumed to be significant enough, even if many of the younger generation would think first of the music band. It’s quite a risky approach, for large segments of the audience may not be as aware, but it does add a thrill factor to those who are. I wish the same could be said for the approach to the film’s animation. There appears to be an interesting mix between newer age computer generated graphics and a reliance on old school hand drawings. I’m sure there’s a more technically accurate term to describe this, but the only thing that jumps to mind right now is ‘mish mash’. Mish being the computer generated animation that seems to be exclusive to the Martians’ tripods. This is juxtaposed against the mash that is the more traditional forms through which Eric and his friends were portrayed. I am sure that there is a reason behind this (perhaps to visually hint even more at the technological superiority of the Martians), but the end result of the conflation of these two forms left me feeling underwhelmed; as much as this is an interesting attempt at creating something new (at least for me), I can’t help but get the shallow feel of Saturday morning cartoons…from the 1980s. Cruel? Perhaps. Even crueler is the staid and fairly formulaic development in character and story. Perhaps some parts could be excused for the character development, even if they did feel like cookie cutter personalities drawn from templates. All the characters have some personal investment in different ways, though the focus is always on Wells, of course. Just in case you don’t know it’s a Malaysian movie of sorts. Interestingly, a divergence was made into O’Brien’s history. His brother, being directly involved in the Irish independence movement, was referenced and briefly seen on screen. However, beyond further establishing O’Brien’s backstory (which, truth be told, didn’t play that big a role in the narrative), it was disproportionate in its importance. A similar nit could be picked with the complexity of the story as well. The Goliaths (robots created to fight the Martians) were promoted as the latest of technologies to combat against the alien invasion. Yet, for all the sophistication, what we did end up with was complex strategies based on the following command: “Fire at will!” Aside from being glad that none of the characters are named Will (which may have led to some confusion), it does not reflect the step up I had expected from such an expensively assembled fighting force. This is not an insignificant step for Malaysian films as a whole; the end credits listed plenty of Malaysian-sounding names, which is a positive thing as far as I am concerned. I hope that this will be the beginning of something more consistent. The minimal examples listed here of co-productions may not be the best financial ones, but opening ourselves up to more of such working relationships would indeed be an interesting step. I just feel that a bigger step forward with regards to story and character development could have been taken for this film, given the scale of this production, for the people who worked on it deserve to have more than mere strings on bows. At least it didn’t cost $42 million. This film is nominated in the Best Poster Category for the 26th Malaysian Film Festival, though Fikri didn’t bother analysing that category either here or here.